What a brilliant year last year was for apples. 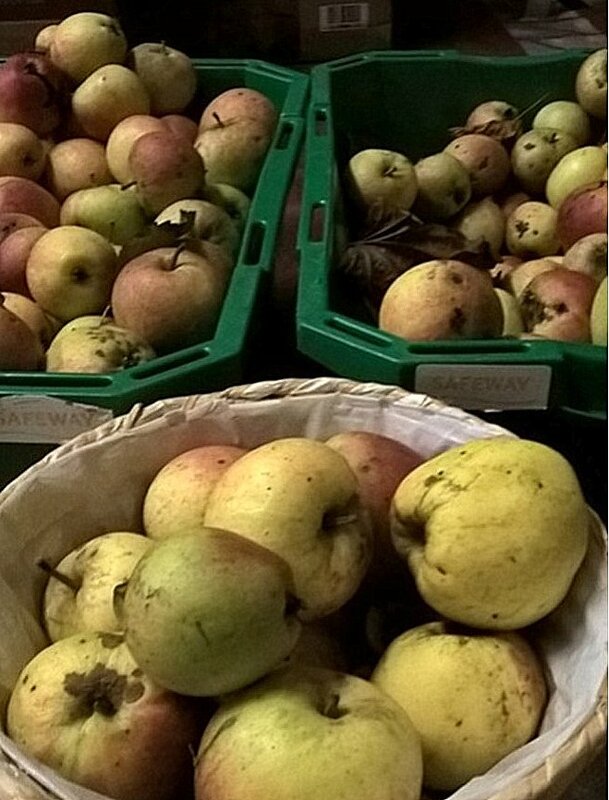 The weather and bees did us proud and the eating and cooking apples in Glebe House garden were abundant. Now, I’m all for apple tart, pie, crumbles strudel, muffins and apple pastries (I serve these every breakfast by the way), apple puree and sauce but sometimes there’s a limit! So, I made my first attempt at making home-made apple juice. There’s plenty of information of course on the web. For equipment I started off with a small juicer that I’d had for years and to be honest not used much; a filter and stand which I use for redcurrant and blackberry jelly (also from the garden) and brilliantly Malcolm from Kingsmuir House in Peebles (also a member of Scotland’s Best B&B) gave me a box of right sized bottles that he uses in his B&B. 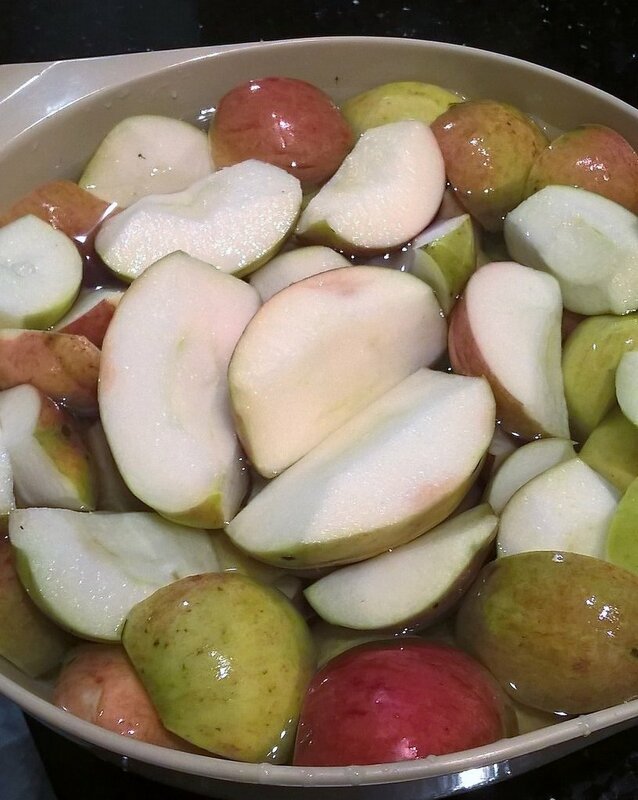 Of course hygiene and food safety are paramount as I wanted to be able to serve the juice to guests so there was plenty of washing, sterilising and working out the best way to pasteurise the apple juice. My first run in November was rather messy and laborious but I found a rhythm and a process for moving from washed apples to taking out the cores which meant less pulp in the juicer and leaving the filter for a good long while to drain to a stop. Avoiding the temptation to squeeze, though less satisfying, made for a much lighter and clearer juice. I pasteurised in a pan on the stove by bringing the juice up to 78 degrees C for 4-5 minutes before pouring into the sterilised bottles, cooling and putting in the fridge. There were so many apples that I had to make the juice in batches – generally producing about 6 bottles each time – so that gave me time and space to improve my methods. I also did a batch for our home use which wasn’t pasteurised and we had a taste test. I must say I preferred the non- pasteurised as it was sharper and lighter but both certainly tasted very (and surprisingly) good. There was always sediment in the bottles and I preferred to pour without clouding the juice. I was surprised how much pulp was produced in the juicer which meant a constant clean out of the machine. However, of course nothing really went to waste with the cores, the pulp from the juicer and the filtered remains all going into the compost bin to feed next years’ plants and vegetables. We must have made about 30 bottles in the end and we kept them in the guest fridge. We stopped serving them to guests after 2 months just to be absolutely sure and are back to bought juice for them. There were a few bottles left, now only 5, and we are drinking these at home. If I do it again next year I’ll think about how I can preserve for longer and refine the look of the juice – twice filtered? Here’s looking forward to more juice making. © Scotland's Best B&Bs 2019. All rights reserved.